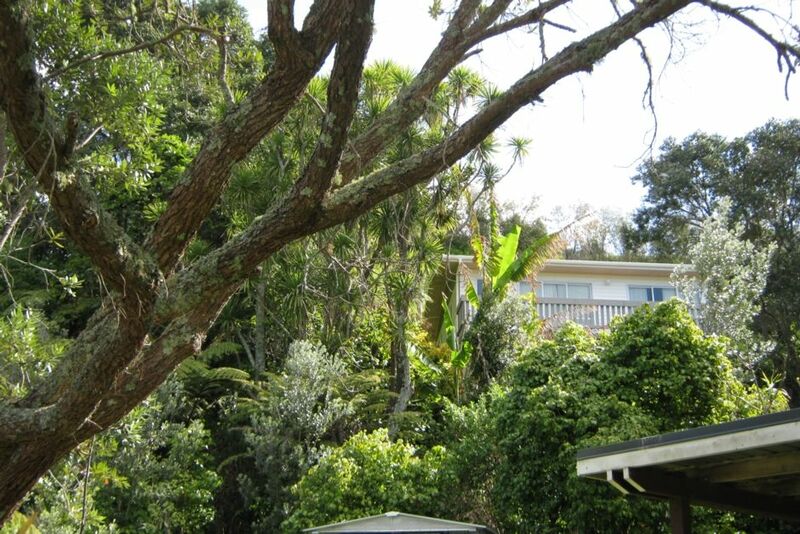 Peaceful retreat, Nestled on a hillside amongst trees and wild life in the small settlement of Bryans Beach sits Burts Kiwiana Bach. 2 mins walk to great swimming, fishing, beach combing and hillside walks. 15 mins drive to Opotiki and 30 mins to Whakatane for shopping and cafes, cycle trails and more. 10 min drive to Ohiwa Harbour for great fishing, kayaking and boating. Enjoy the beach and what the district offers or just relax amongst the trees and native birds. The bach is nestled against a hill overlooking part of the Bryans beach settlement. Parking at road level and wonder up the garden path to the bach. Property was great for my group of friends but would be unsuitable for anyone who could not manage stairs. We loved the privacy, the plantings surrounding the house and the location. Perfect house. Comfortable beds. Would definitely stay again. Great location and had everything we needed. Had a great time there. It's not an expensive place (not at all) but I give it five stars because the setting is so beautiful and secluded. Waking every morning to the sound of birdsong was fabulous. I've paid a lot more for a lot less.